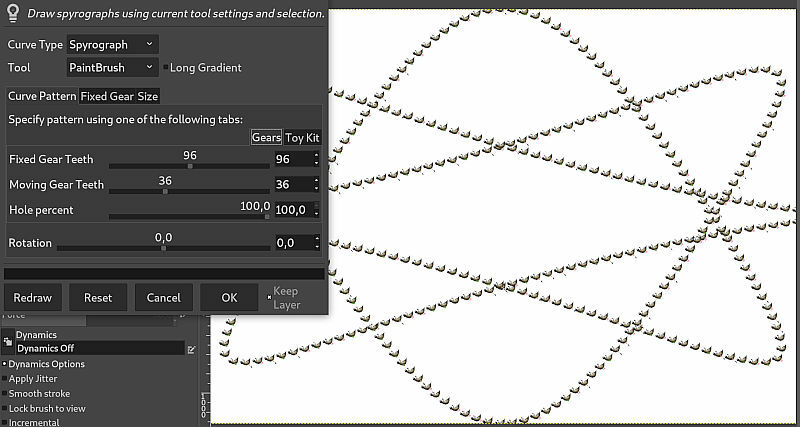 Some updates to the GIMP 2.10.10 news and some images. ... ... @@ -13,7 +13,7 @@ features in this release! use, and it also got a new "Fill by line art detection" mode (a.k.a. ... ... @@ -26,7 +26,7 @@ use, and it also got a new "Fill by line art detection" mode (a.k.a. ... ... @@ -59,12 +66,16 @@ post](https://girinstud.io/news/2019/02/smart-colorization-in-gimp/). corresponding options of the unified-transform tool. transform handles based on the current state of the display. TODO: add video we shared on social media about the "Readjust" handles. ... ... @@ -75,7 +86,7 @@ also work for the target pixels, allowing to draw in empty layers. Michael Natterer and Ell worked a lot on better brush support in GIMP. therefore allowing to promote them to stored data for further reuse. ... ... @@ -139,21 +157,29 @@ improves the rendering speed. or exported out of the box.